Netflix launched in Japan in 2015, and as of 2019 Netflix Japan’s catalog is now the largest of any country, according to uNoGS. In particular, Netflix users in Japan get access to tons of anime that’s off limits to subscribers in other countries. And anime that eventually reaches the global market often appears on Japanese Netflix first, such as Violet Evergarden. Unfortunately, Netflix blocks users from outside Japan from accessing such exclusive content. You’ll need a way to bypass Netflix’s geographic restrictions if you want to get your hands on the Japan-only selection. PrivateVPN Small provider with a few servers in Japan. Can access Netflix Japan from anywhere. VyprVPN Strong security, easy to use, and unblocks Netflix Japan. The easiest and most reliable way to get around Netflix’s firewall is with a VPN. Short for Virtual Private Network, a VPN encrypts all of a device’s internet traffic and routes it through an intermediary server in a location of your choosing. By connecting to a VPN server in Japan, you can browse the web as if you lived in the country and access tons of Japan-only websites, apps, services, and content. Only a small handful of VPN providers have figured out a way to reliably bypass the ban, while the rest remain locked out. We took the trouble to test several providers and find out which VPNs unblock Netflix Japan. Note we only tested the desktop apps with Netflix in a browser, and cannot vouch for whether or not they unblock Netflix apps on smartphones, tablets, and media consoles. ExpressVPN has multiple servers in Japan and not all of them will unblock Netflix in the country, but some do. We don’t want to draw undue attention to them here, suffice to say you can find the correct server quickly by either contacting the 24/7 live chat support or experimenting with a bit of trial and error. Speeds are fast and reliable enough to stream in HD. ExpressVPN is a veteran when it comes to unblocking streaming sites, including Netflix US, HBO Go, HBO Now, Hulu, Amazon Prime Video, and BBC iPlayer. You’ll also have industry-leading security standards, a smart DNS service, and over 1,500 servers in 94 countries at your disposal. The company stores no activity or IP logs. BEST VPN FOR NETFLIX JAPAN:ExpressVPN is our #1 choice. Reliably unblocks Netflix Japan and most other popular streaming services with exceptional speeds for buffer-free HD viewing and total security and privacy. Try it risk-free with the 30-day money back guarantee. PrivateVPN hasn’t been around as long as its rivals, but it certainly deserves its spot on the list. It’s one of the most capable unblockers for Netflix, bypassing the firewall in nearly every country we’ve tested it in. We easily streamed Psycho-Pass in HD when connected to the Japan server. PrivateVPN also unblocks Hulu, Amazon Prime Video, and BBC iPlayer, among others. It scored well in our speed tests and is as reliable as they come. PrivateVPN doesn’t skimp on privacy either. You’ll get 256-bit AES encryption and perfect forward secrecy. The company doesn’t store any logs of user activity or personally identifiable metadata about their use of the service. A single subscription allows you to connect up to six devices at one time. Apps are available for Windows, MacOS, iOS and Android. BEST BUDGET VPN:PrivateVPN is a great value choice. Unblocks Netflix Japan and is a great all-round choice for streaming services. Solid Privacy and security. Small network of servers but fast connections. 30-day money back guarantee. 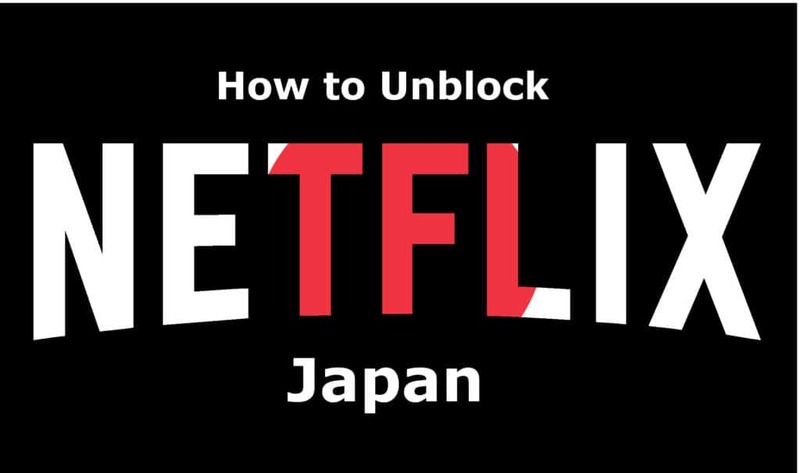 We were pleasantly surprised to find out that we could unblock Netflix Japan when connected to VyprVPN’s Japan server. We had no problem watching an episode of Fate/Stay Night in HD. VyprVPN also unblocks US Netflix. VyprVPN uses top-notch encryption and owns, rather than rents, all of its physical servers. That ensures hardened security, but the company does have a policy of logging users’ real IP addresses, so torrenters had best steer clear. Otherwise, it’s a great provider that’s easy to use and has round-the-clock customer support. EASY TO USE APPS:VyprVPN is user friendly. Unblocks Japanese Netflix with excellent speed and uptime as all servers are owned by VyprVPN. Good security and privacy credentials. Not the cheapest option. 30-day money-back guarantee. Can I use a free VPN to watch Netflix Japan? We’ve heard of a few Japanese proxies that can unblock Netflix Japan, but the free ones are likely too congested or unreliable to stream in anything resembling decent quality. At any rate, you’ll need to be able to read Japanese to register and use them. Free VPN services generally lack the bandwidth to stream video without tons of buffering, and many of them cap data at a hard limit. We generally recommend avoiding free VPN services. Even if you don’t have to fork over payment details, free VPN services are not charitable entities. They often make a profit collecting data from your browsing habits and selling it to third party advertising agencies. Some inject ads into your web browser, while others even carry malware payloads to infect your device. In any case, it’s unlikely that a free VPN has the resources to reliably bypass Netflix’s firewall. The following VPNs do not unblock Netflix Japan, either according to our tests or by their own admission. If you don’t speak Japanese, finding subtitles or dubbed voices for anime on Netflix Japan can be a bit hit and miss. Subtitles are more common than dubbing, for sure, but many titles have neither. We suggest you take advantage of a VPN’s free trial or money-back guarantee period to unblock Netflix Japan and check to see whether subtitles or dubbing is available for the show you want to watch. Log out of any Google accounts, including Chrome browser. Google caches your IP address and can reveal your true location to Netflix. Disable GPS and any other location-based services on your device and browser. If you’ve given Netflix permission to use your location in the past, you’ll need to disable the permission in your browser settings. Clear your browser cookies, cache, and temp files. We’ve got tutorials for both clearing your cache and clearing your cookies for all the major operating systems. Disable IPv6. This is mainly for Windows 10 users, but may cause problems on other operating systems as well. In Windows 10, you can disable IPv6 in your Wifi properties. Change your device’s time zone to the country’s in which you’re trying to watch Netflix. Japan’s time zone is UTC+9. If you are connected to a wifi network and can access the router, rename the wifi network, or SSID. Add “_nomap” to the end of the network name, without quotation marks. This well opt your wifi network out of Google’s geolocation services. You will need to reconnect your device to the updated network to regain internet access. Disconnect and reconnect to the server location to see if you can get a different IP address. See also: Planning a visit to Japan? Here’s our best VPNs for Japan.